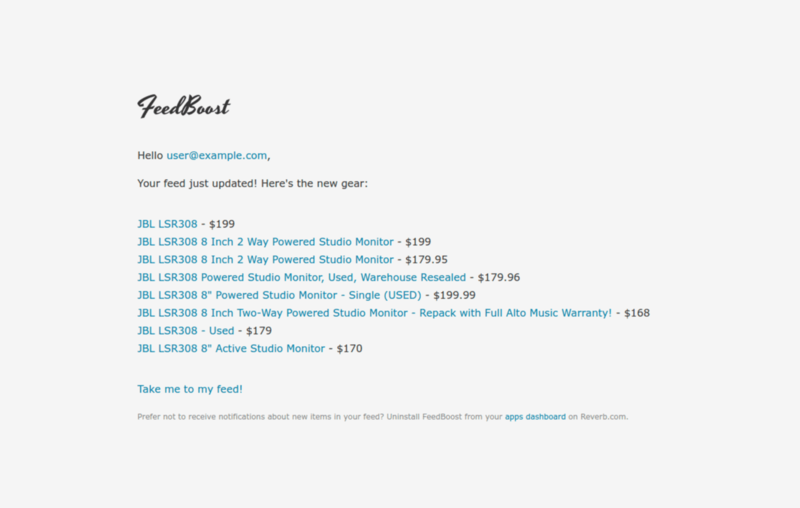 Ever missed out on some rockin' gear because you didn't receive the feed notification in time? That gear gets snatched up quick! 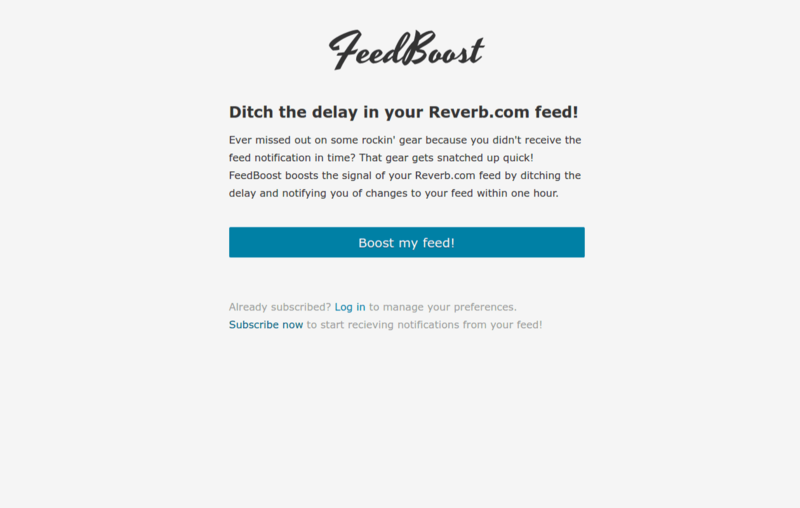 FeedBoost boosts the signal of your Reverb.com feed by ditching the delay and notifying you of changes to your feed by email within one hour. Get the most out of your feed! You can add any search result with filters and price ranges to your feed. 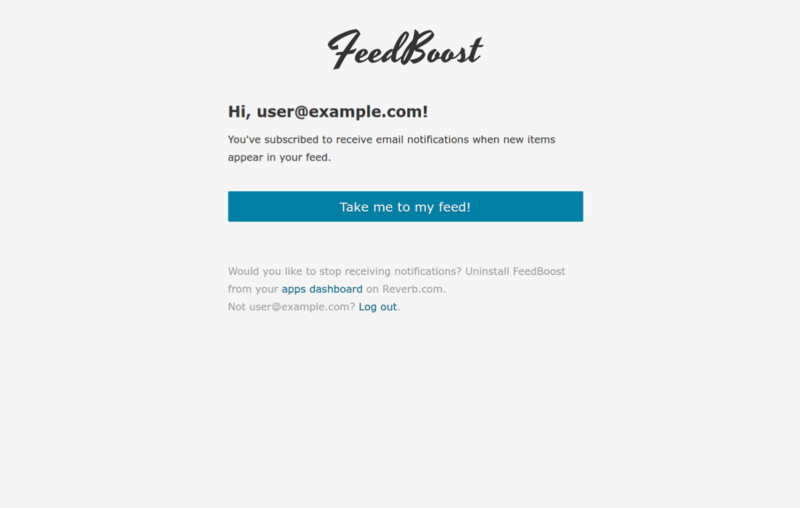 Then, with FeedBoost, you can be notified when new items appear in that result within one hour. For instance, you could be notified the next time a Strymon Timeline Delay pedal gets listed for under $350.